well, at least it is in Nila and Camille's Boutique. Our spring line is up and running! 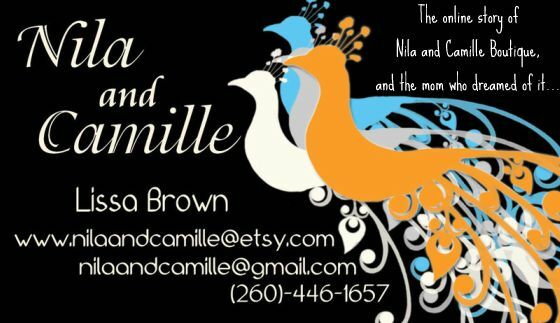 What we have in our current inventory is listed in our shop at http://www.nilaandcamille.etsy.com/. Here you will find the latest trends in handbag and accessory design. This spring is bright colors, bold patterns, and texture, and do we have it here! All our pieces are handmade with modern fabrics, and are adorned with fun vintage brooches, buttons, and the occasional whimsical applique. Do you find yourself in love with a certain fabric? Is a certain style speaking to you? Are you interested in having a one of a kind piece designed just for you? Let us know, we are up for the challenge. Here is a few items you will find listed for sale in our shop. Let us know you saw them here, and we will include free shipping! And, make sure to sign up for our newsletter to receive the latest news, and coupons! Wow... you are an amazing sewer.